Do I Need a Prescription for Humatrope HGH? Humatrope is a high-quality man-made form of human growth hormone that has been approved for the treatment of growth disorders and growth hormone deficiencies. Each Humatrope bottle contains 15 IU (5mg) of biosynthetic human growth hormone (from recombinant DNA), excipients including glycine, mannitol, and bibasic sodium phosphate. Each bottle of diluent contains m-cresol, glycerin, and water for injections. Considered to be made of the highest standard, Humatrope is known to generate overall longevity results that can be seen and felt within the first few months of treatment. Humatrope is a Sterile freeze-dried powder of systemic hormone preparation. Directions for usage of Humatrope HGH for Long-term treatment for stunted growth, due to the reduction or lack of somatotrophic endogenous hormone secretion in-patients who have not yet finished puberty. Humatrope is also used for Treatments for short stature in girls suffering from Turner’s syndrome confirmed by chromosomal analysis (the effect on final height has not yet been established). Humatrope may cause Hypersensitivity in some patients who administer Humatrope. Hypersensitivity will usually subside if the diluent is substituted with Bacteriolstatic water. Patients with the complete knitting of the epiphyses. Diabetes mellitus. Humatrope HGH should not be used if there is any sign of active neoplasms. Endocrine lesions must be inactive and anti-tumoral treatment finished before beginning hormonal treatment. The use of Humatrope must be interrupted in the event of renewed tumoral growth. Humatrope HGH must not be reconstituted with the accompanying diluent if the patient is sensitive to m-cresol or glycerin. 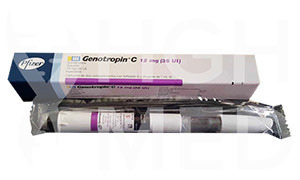 Humatrope HGH treatment should only be carried out under a doctor’s authorization, by prescription, by university medical centers or hospitals specializing in the treatment of patients with growth hormone deficiency. Diagnoses must be confirmed before beginning Humatrope HGH injections. This requires a clinical examination of the patient with detailed case histories, particularly with regard to auxilogical evaluations and the carrying out of laboratory tests, including stimulus test, to verify hypophysial hypothalamus functioning. Humatrope HGH therapy should be carried out by a specialist in the diagnosis and treatment of patients related to stunted growth. Patients who, following diagnosis, undergo treatment with the somatotrophic hormone will have to be inscribed in a regional register and monitored by means of clinical auxilogical and laboratory evaluations every six months to check the functioning of the thyroid, glucide metabolism etc. The lack of available information on Humatrope may mean the exposure of the patient to a risk, which may exceed the therapeutic benefit obtained. Human growth hormone treatment using Humatrope should be complemented by an adequate supply of calories and amino acids. Once reconstituted with the accompanying diluent, Humatrope HGH can be taken in subcutaneous or intramuscular injections. Humatrope Long-term studies on animals have not been carried out, which would enable the evaluation of any carcinogenic or fertility altering effect which this pharmaceutical product may possibly have. No mutagenic effect due to Humatrope HGH has been seen in tests up to the present. Since taking Humatrope HGH may cause resistance to insulin, patients should undergo periodic checkups in order to detect any intolerance to glucose. Children suffering from diabetes mellitus should be carefully supervised during Humatrope HGH treatment, as it may be necessary to increase their insulin dosage. Excessive glucocortoid treatments may inhibit the effect of growth stimulation provided by the human somatotrophic hormone. In the case of patients who also suffer from ACTH (adrenocrticotrophic hormone) deficiency, the substitutive dosage of glucocorticoids must be accurately regulated in order to prevent any inhibitory effect on growth. Attentive and constant supervision by the specialist is advised during growth hormone treatment of Humatrope by patients with neoplasms in remission. Those with a shortage of the growth hormone accompanying an endocrine lesion must be checked particularly frequently so as to prevent spreading or a relapse. Patients with growth hormone deficiency may frequently show alterations having to do with the epiphysis. For this reason, children who limp or show unsteadiness in their walking during growth hormone treatment should have thorough check-ups. Hypothyroidism may arise during Humatrope treatment. Because untreated hypothyroidism can prevent an optimal response to thorough check-ups. Hypothyroidism may arise during Humatrope HGH, patients should have periodic tests for thyroid functioning and undergo thyroid hormone treatment when necessary. Patients with psoriasis are also advised to have regular check-ups so as to avoid a Humatrope possible aggravation of the condition. In the event of sensitivity to the accompanying diluent, the bottles may be reconstituted with sterile water for injections. If is reconstituted this way, the solution must be administered within 24 hours and any leftover solution is thrown away. If, once reconstituted, the solution is not administered immediately, it may be kept up to 24 hours in the refrigerator at a temperature between +2 degrees Celsius and +8 degrees Celsius. Humatrope's effect on the patient’s capacity to drive or operate machinery has not been determined. The recommended subcutaneous or intramuscular dosage of Humatrope is 0.18 mg/ kg of body weight (0.48 IU/ Kg) per week, approximately equivalent to 12 IU/m2 per week. The weekly dosage is to be divided into either 3 intramuscular injections or 6 to 7 subcutaneous injections. Do not reconstitute or administer Humatrope without first receiving adequate instructions as to the correct technique by the specialist. Follow the doctors sterilizing technique by the specialist. Follow the doctors sterilizing technique. Destroy and get rid of syringes or needles following each use. Humatrope must be kept in a cool place (from +2 degrees Celsius to +8 degrees Celsius) before and after reconstitution. DO NOT FREEZE. ONCE RECONSTITUTED, HUMATROPE MUST BE USED WITHIN 14 - 21 DAYS. Reconstitute Humatrope only with Humatrope diluent. Do not use any other solution for reconstitution unless it is by your doctors prescription. The doctor will also decide the correct sizes of the syringe and needle and the amount of diluent to add to the Humatrope bottle. ALWAYS WASH YOUR HANDS FIRST. Remove and throw away the stoppers of the Humatrope HGH bottle of diluent and of Humatrope. Clean the rubber covering of the Humatrope bottles with cotton wad soaked in alcohol (see figure 1 in a pack). Remove the protective covering of the needle and set it aside. Pull the piston of the syringe until the same volume of air is let in as the volume of diluent prescribed by the doctor. Insert the needle into the rubber stopper of the bottle of diluent and inject air into the bottle. Holding the Humatrope hgh bottle upside down and making sure that the needlepoint is in the solution, extract the amount of diluent prescribed by the specialist (see figure 2 in a pack). Once you are sure there are no air bubbles left in the syringe, turn the bottle right side up and extract the syringe, taking care that the position of the piston does not change. Insert the same needle into the bottle of Humatrope HGH and gently turn the needle point inwards towards the side of the bottle. Slowly inject the diluent, directing the flow towards the side (see figure 3 in a pack). DO NOT AIM IT IN THE DIRECTION OF THE WHITE POWDER AT THE BOTTOM OF THE BOTTLE. To balance the pressure and before removing the syringe from the bottle, let in a volume of air equal to that of the diluent just added. If the needle can become separated from the body of the syringe, remove, destroy and throw it away. If the needle and the syringe cannot be separated, eliminate the entire unit. Slightly roll in a gentle rotating movement until the contents are completely dissolved (see figure 4 in pack). Do not use Humatrope, if upon reconstitution, it is opalescent or contains precipitates.If the needle can be separated from the syringe, apply a new needle before giving the injection. If the syringe and needle from an inseparable unit use another syringe for the preparation of the injection. Before and after administering your Humatrope injection, the rubber stopper of the Humatrope bottle must be cleaned with alcohol or an alcohol-based antiseptic solution to avoid that repeated insertions of the needle contaminate the contents. Remove the cover of the needle and let an amount of air equal to the amount of Humatrope into the syringe. Insert the cover of the bottle of reconstituted Humatrope and inject air into the bottle. Turn the bottle upside down and making sure that the needlepoint is in the solution, inject the exact dosage (see figure 2 in the pack). Make sure that there are no air bubbles in the syringe. Remove the syringe and wrap up the needle. Write down the date of reconstitution on the label of the bottle and eliminate any diluent, which has not been used. Put the unused part of the reconstituted Humatrope in the refrigerator and use it within 14-21 days. *(Do Not Put Humatrope in Freezer)* Dispose of your needle and syringe in a safe container which can be purchased at your local pharmacy. Please do not discard used needles in household garbage. Tap the spot chosen for the injection gently with one finger.Carefully clean the area with a cotton wad, which has been soaked in alcohol, making a circular movement, moving from the inside of the circle outward. Humatrope Subcutaneous injections. Stabilize the skin between the thumb and the index finger and raise an ample portion of skin. Holding the needle at a 90-degree angle to the spot chosen for the injection, insert the entire needle into the skin. Slowly inject the liquid. Remove the needle quickly, exerting pressure on the place chosen for the injection with a dry gauze pad or a cotton wad. Rub for several seconds. Destroy the needle or the needle, syringe unit.Intramuscular injections. With the thumb and first two fingers, press firmly against an ample portion of muscle mass, such as the thigh. Holding the syringe at a 90-degree angle to the spot chosen for the injection, insert the entire needle into the skin. Holding the needle inside the place chosen for injection, slowly pull back the piston. Should blood appear in the syringe, remove the needle, throw out the syringe with the pharmaceutical product and prepare another injection. If blood does not enter the syringe, slowly inject the solution. Pull the needle out quickly, exerting pressure on the place of injection with a dry gauze pad or cotton wad. Rub for several seconds. Destroy the needle or the needle/ syringe unit when finished. If you are in any doubt, consult your doctor. In the course of clinical research studies on patients with growth hormone deficiency, which has never been treated on patients with Turner syndrome, a development of antibodies against the growth hormone, has been detected, but which has no effect on the rhythm of growth. Up to the present, long-term effects caused by the presence of these antibodies have not been noted. Research into antibodies against the growth hormone should be carried out on all subjects who fail to respond to treatment. High doses of Humatrope deliberately given to healthy adults have on rare occasions produced the following effects- headache, local muscular pain, weakness, mild hypoglycemia and glycosuria. In studies on children with growth hormone deficiency, rare cases have been reported of pain in the area of the injection. 2.5% of those children treated has shown mild transitory oedema in the early stages of treatment. Should the patient notice any unpleasant side effect not described in this leaflet, he should consult his specialist or family doctor. Attention- Do not use this or any medicine once its expiry date has passed. Get the benefits of Humatrope HGH. "Have had great results with Humatrope. I'm 45 and very active as a surfer, firefighter and the vice president of a title company. People always wonder how I can do it all. I've always had a ton of energy but I have so much more after just 2 months of using the product. Look forward to feeling the results after 6 months. 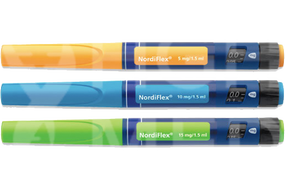 David T."
"Norditropin has been very effective for my overall health, I am impressed by my results these past 3 months, and am now placing another order for me and my wife. Eric M, Green Bay, WI"
"My energy levels and athletic performance have really shown the difference since taking Humatrope HGH. I'm recovering quicker and feel better after workouts. Keep up the good work and great product. Drew W, Age 38, Vancouver, WA"